The Partnership relies on volunteers for our events like Movie Night and Alive @ Five, but also for our committee work too. Many opportunities exist with Downtown Frederick Partnership and we’d love to have you! To see what current event volunteer opportunities are available, click here. If you don’t see any event volunteer activities posted today, be sure to keep checking back! Our busiest months for event volunteer work are generally May through October. Information about the Partnership’s four committees can be found on our About Us page. To learn more about volunteering, please email Danielle Doll at danielle@downtownfrederick.org. Alive @ Five is a summer-long fundraiser for Downtown Frederick Partnership, featuring 21 happy hours each Thursday, May through September. We couldn’t make these events happen without your help! 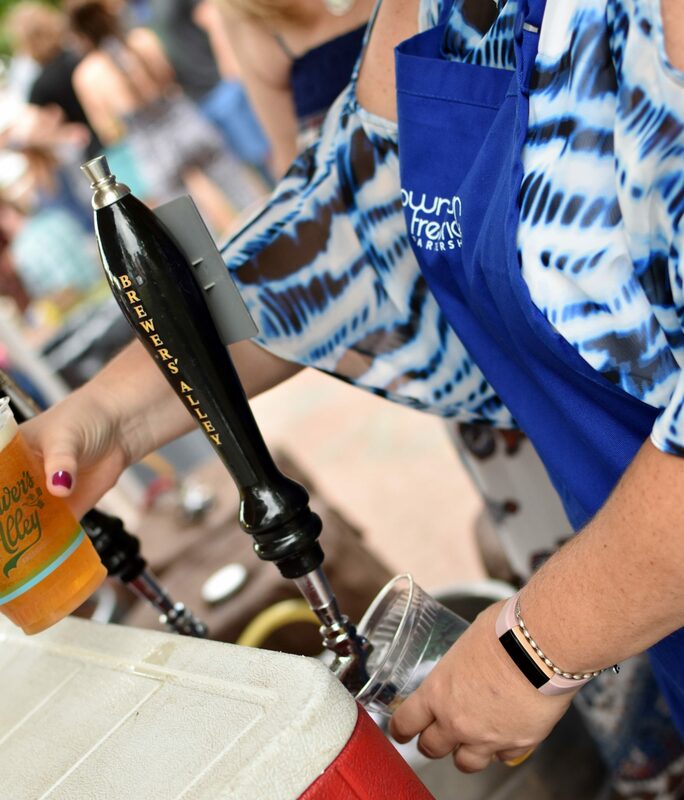 Each week requires 38 volunteers to pour drinks, sell tokens, take tickets and work the event. Shifts are approximately an hour and a half each. Volunteers receive free entry and are welcome to enjoy the event before or after their shift. For more information about volunteering during Alive @ Five, visit our sign-up page at bit.ly/aliveatfivevolunteer2019. Movie Nights are a free community event hosted by Downtown Frederick Partnership the third Friday of each month, June through October. We couldn’t make these events happen without your help! Each show requires 10 volunteers to help set up, pour drinks, and work the event. Shifts are approximately an hour and a half each. For more information about volunteering during Movie Night, please email Cecylia Morrison at cecylia@downtownfrederick.org. Movie Night 2019 volunteer sign-ups will open in April 2019. Bring A Broom Saturday is an annual community clean-up day where residents, local businesses and area volunteer groups band together to help Downtown Frederick get ready for spring! Bring a broom, a water bottle, comfortable shoes, sunscreen, a visor and your friends and neighbors to help Downtown Frederick freshen up. Volunteers spend the morning sweeping, mulching, cleaning and planting flowers. Volunteers of all ages are welcome! This is a great chance for large groups to volunteer together. 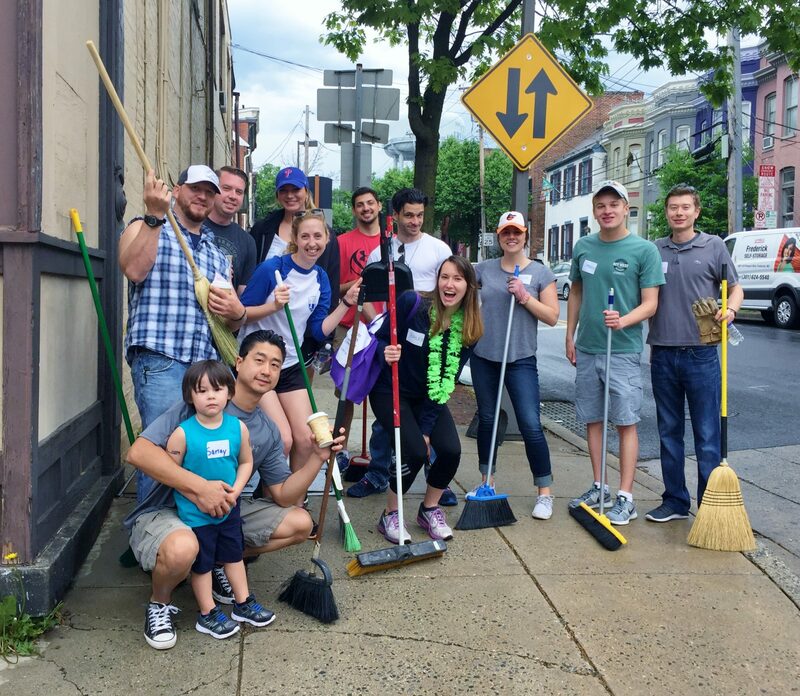 If you’re interested in signing up your organization to participate during Bring A Broom Saturday, please email Leeann Dickerson at leeann@downtownfrederick.org. The next Bring A Broom Saturday will be held on Saturday, April 27, 2019. Our 2018 event was a record-breaking year for volunteer participation, so we hope you’ll join us in 2019 and help us make it another huge success!